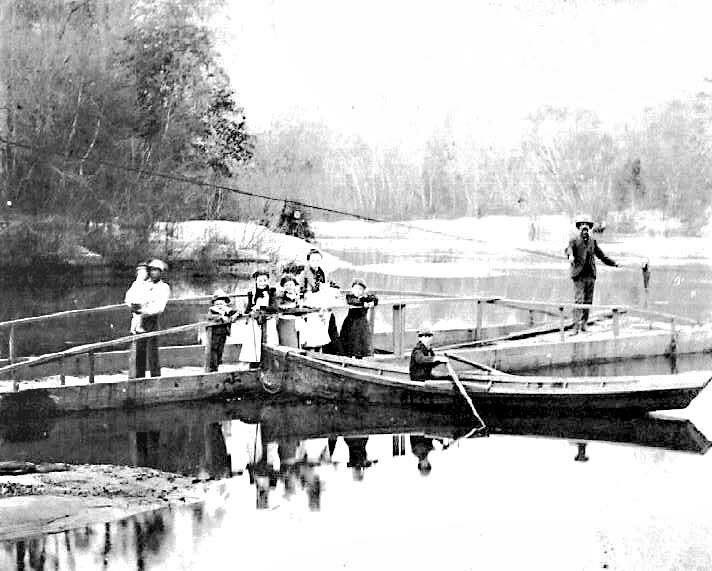 In May 1963, land acquisition for Toledo Bend Reservoir got underway. 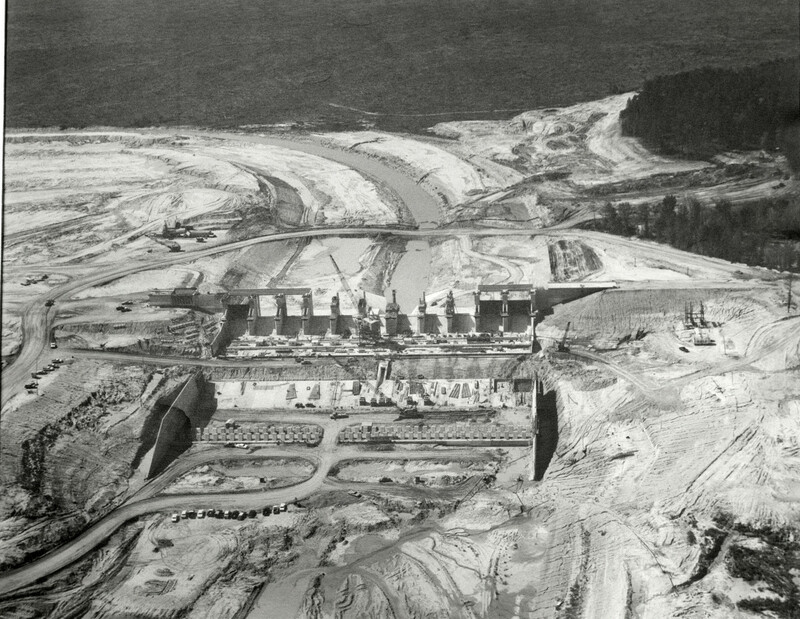 Construction of the Toledo Bend Dam, which would halt the flow of the mighty Sabine River to ultimately create the lake, began almost one year later, in April 1963. The dam and the spillway construction were initiated, along with the building of a power plant from which hydroelectricity would be generated. The closure of the earthen embankment and the filling of the lake began in October 1966. 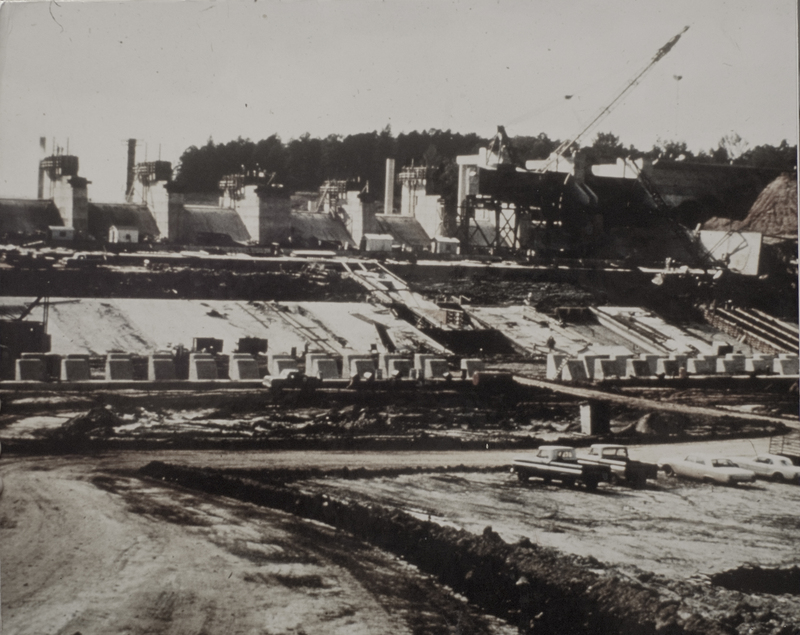 Here are a few photos of the construction of the Spillway and Dam. 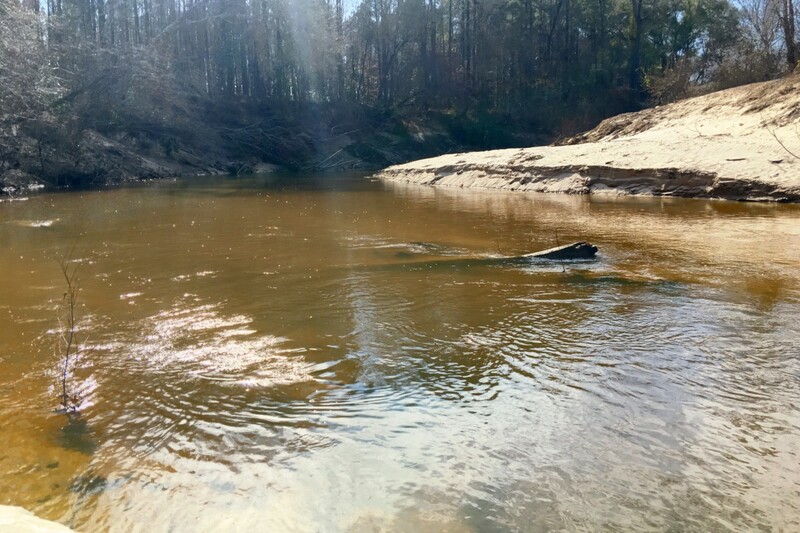 The spillway was designed to provide the controlled release of flows from the dam downstream to the Sabine River, and to release flood water so the level does not get too high and overtop or damage the dam. Here are some photos of construction of the dam and spillway. I added some close ups of a couple of the photos… honing in on different parts of the original photo. 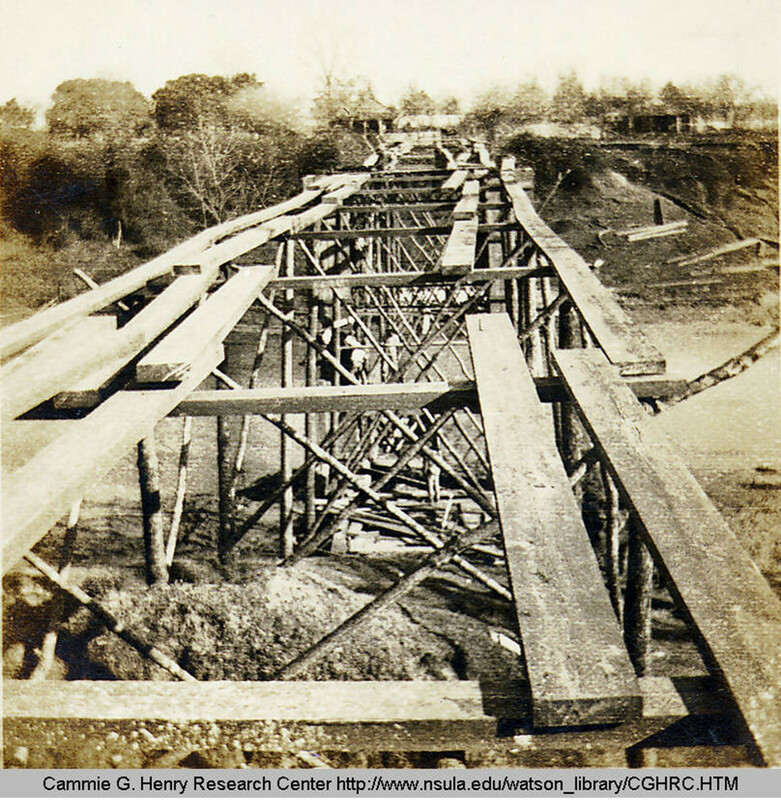 I rounded up a collection of photos of the Cane River bridge in the City of Natchitoches, Louisiana and in Natchitoches Parish. 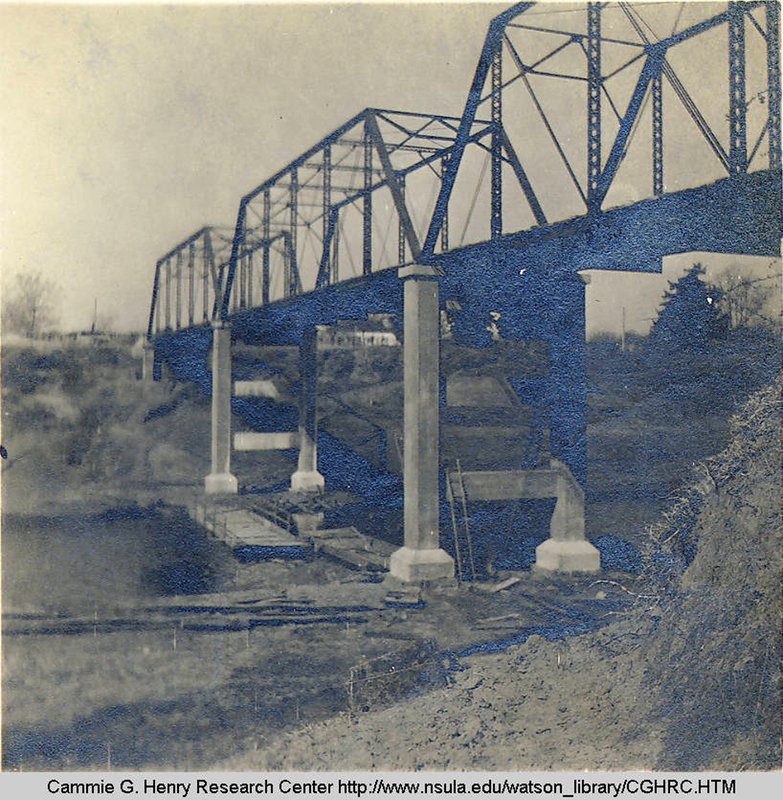 Almost all the photos are from the Cammie G. Henry Collection, at the Northwestern State University Library. I added dates to the photos where dates were available, and details where details were available. Any input is welcome and appreciated on any of these photos. 1931. 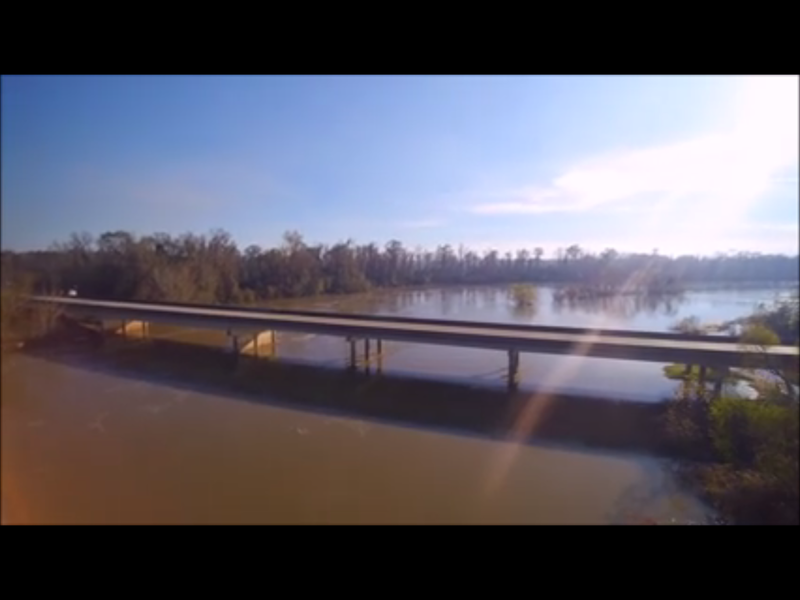 Bridge over Sabine River between Merryville, Louisiana and Bon Weir, Texas. From The Beaumont Enterprise. 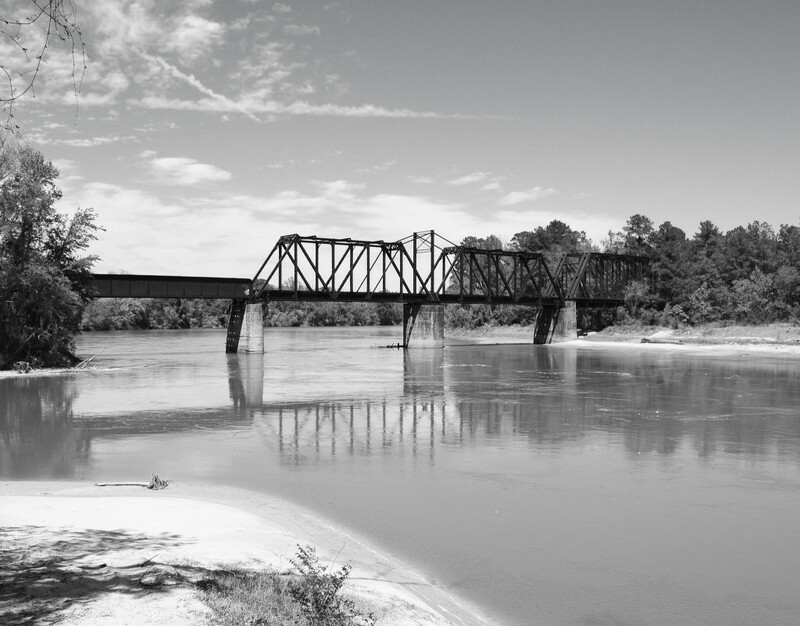 Railroad bridge over (ATFS) Sabine River, built 1905, according to BridgeHunter.com. Photo by Patrick Feller. 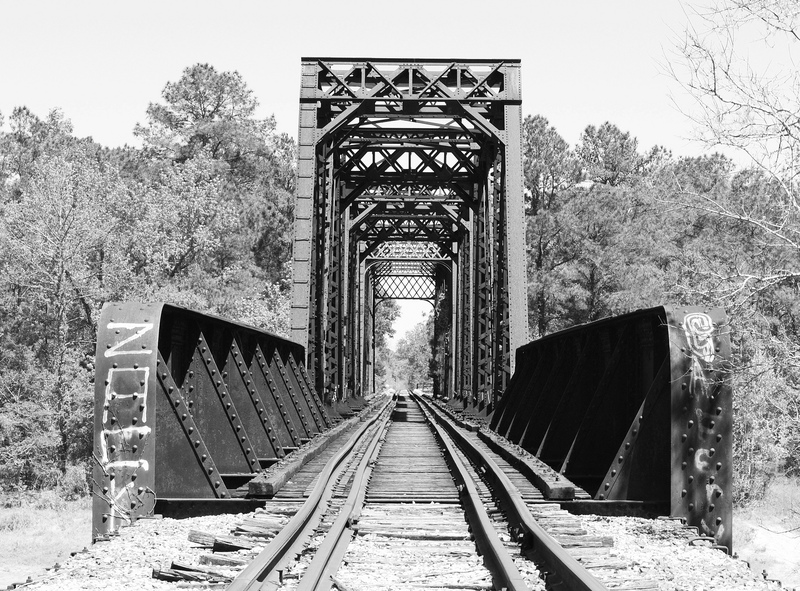 The railroad bridge over the Sabine River between Newton County and Beauregard Parish is a swing through truss bridge. Photo by Patrick Feller. Bridge today, as part of US Hwy. 190 system. Not sure when the bridge was constructed… Looked a good bit online but did not find a date pinpointed. Feel free to comment if you know more about this bridge. NOTE: We took this photo from the air this past December… The river was at flood stage at this time… So it may appear quite high in these photos because it is quite high. 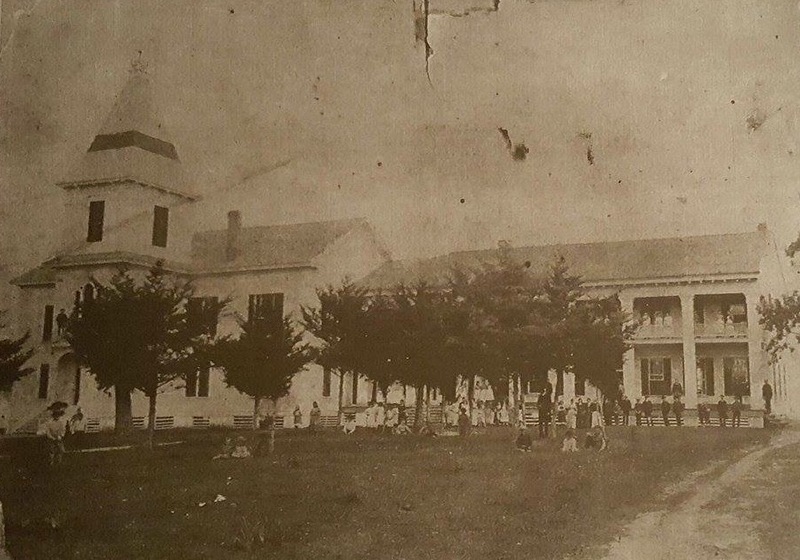 Original schoolhouse of Keachi (Keatchie, Keatchi) Female College. Photo kindly shared by Michael Speights. First, it was Keatchie Female College, located in northern DeSoto Parish, Louisiana. The college opened in the mid-1800s and remained a college until 1912. Some time soon after this, the primary college buildings were utilized as the public grade school for the area, educating students grades K-12. 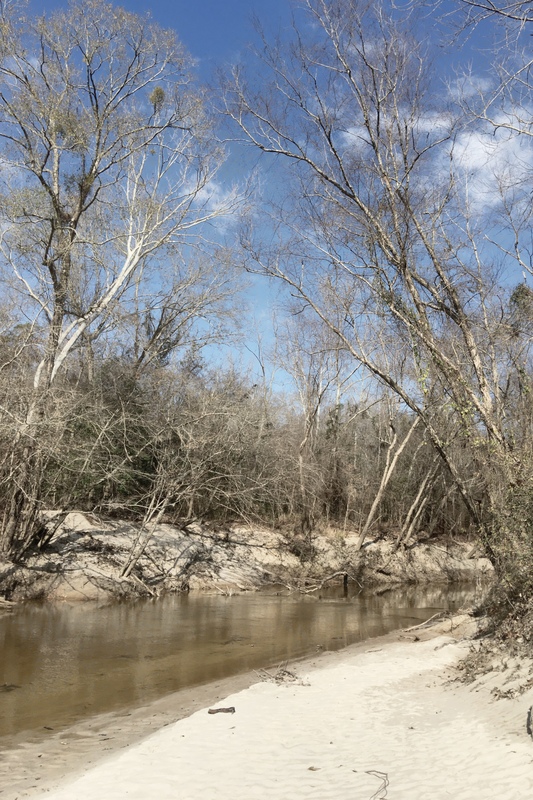 Every single time I see Toro Bayou (aka Toro Creek), I feel like I am either watching some cinematic production or looking through the pages of a story book. It is dreamy, it is surreal. It is a playground for a photographer!